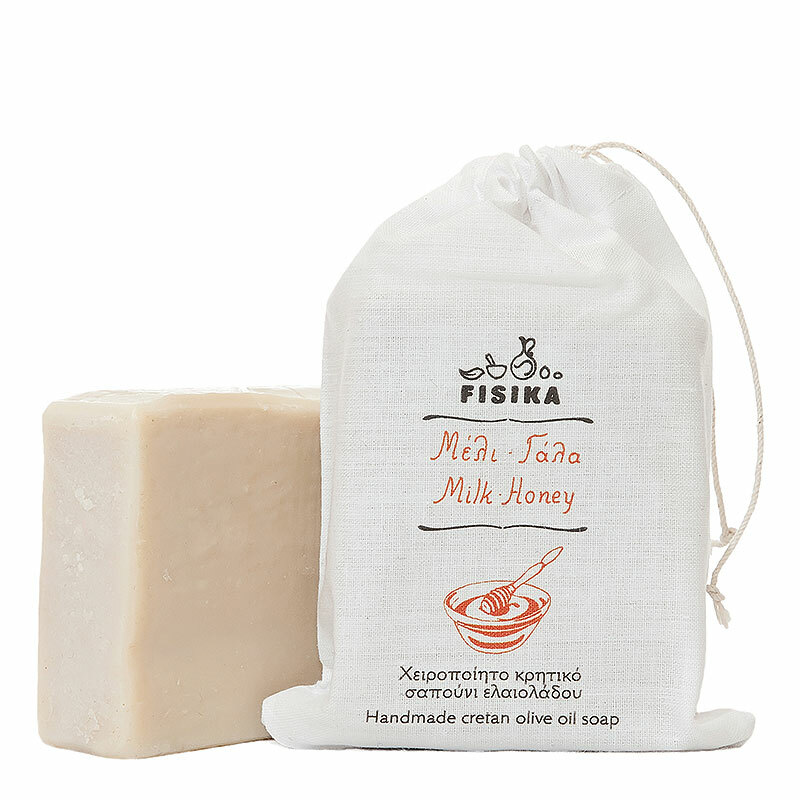 Milk-Honey soap is the most luxuriant skin-food. It stimulates tired, dull skin by restoring its natural tone thanks to the vitamins and minerals within its ingredients. Intensely aromatic Cretan honey softens and nourishes the skin, while acting as a powerful antioxidant and antibacterial agent. Milk is rich in protein, calcium and vitamins. It is highly absorbent and instantly gives skin a luminous, healthy sheen. Mild. For face and body. Suitable for all skin types. The sykomelo, a new and unique product for the Greek market, forgotten for years as used by previous generations as a natural sweetener.